Fishers High School, which opened in 2006, is one of two high schools in the Hamilton Southeastern school district in Fishers, Indiana, recently named the best place to live in the United States. Nearly 400 students are enrolled in the Fishers High School Band program, which offers concert bands, jazz bands, percussion class, chamber ensembles, and many popular and successful extracurricular groups such as Marching Band, Pep Band, Jazz Lab Band, Pit Orchestra, Solo & Ensemble, Winter Percussion, and Winter Guard. The five Fishers High School concert bands consistently receive Gold and With Distinction ratings at ISSMA Organization Contest. Wind Ensemble has become a consistent Indiana State Finalist. The all-volunteer Marching Tiger Band has been an Indiana State Finalist, BOA Regional and Super-Regional Finalist, and BOA Grand Nationals Semi-Finalist. The Tiger Band has recently performed at the Philadelphia Thanksgiving Day Parade (2015) and the Hollywood Christmas Parade (2017). The band hosts the Fishers Invitational, a very popular marching band contest, drawing bands from all over Indiana and nearby states. 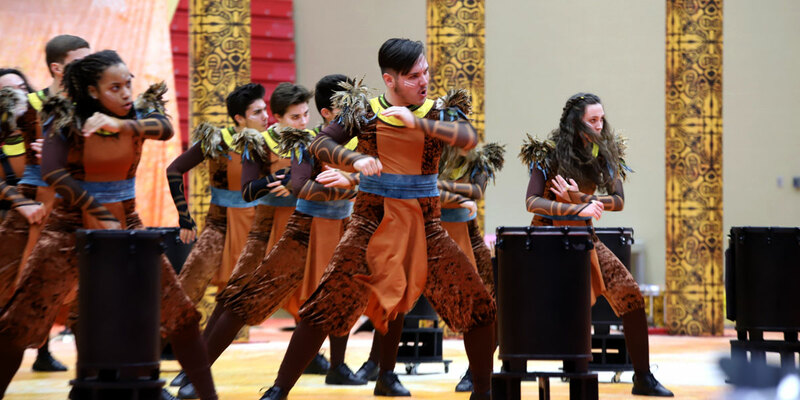 Winter Percussion Ensembles have won six Indiana state championships and regularly appear in WGI National Finals. 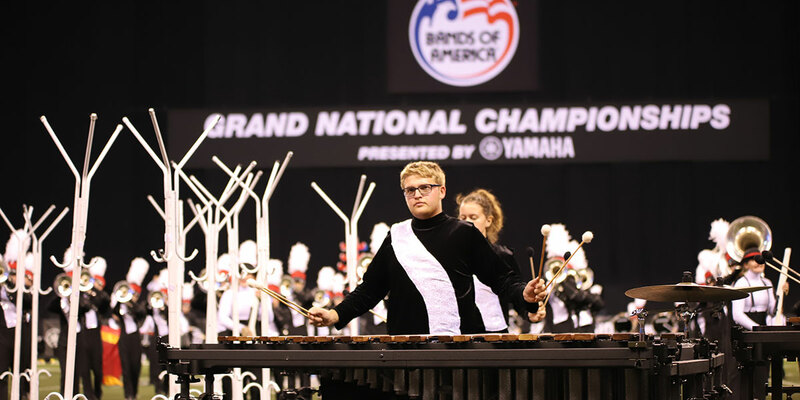 In 2018, the Concert World-class ensemble won the WGI World Championship in Dayton, OH. Members of the band’s drum line were also selected to perform with Madonna during her 2012 Super Bowl halftime performance at Lucas Oil Stadium. 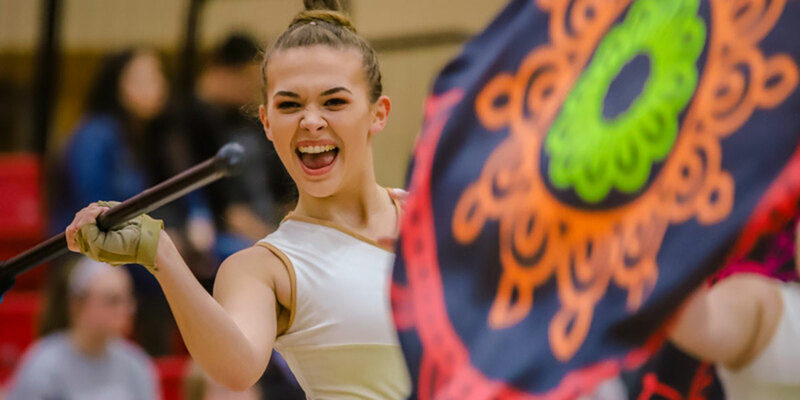 The Winter Guards have earned state and national recognition, finishing in the top tier of the IHSCGA competitions and WGI National Finals in Open Class. Every year, many Fishers band members are selected into prestigious honor ensembles such as All-State Band, All-State Jazz Band, All-State Orchestra, the ISO Side-by-Side program, and the IMEA Honor Concert Band, among others. Hundreds of students perform each year at solo and ensemble competition. Student-led chamber ensembles are very popular, especially from December-February. 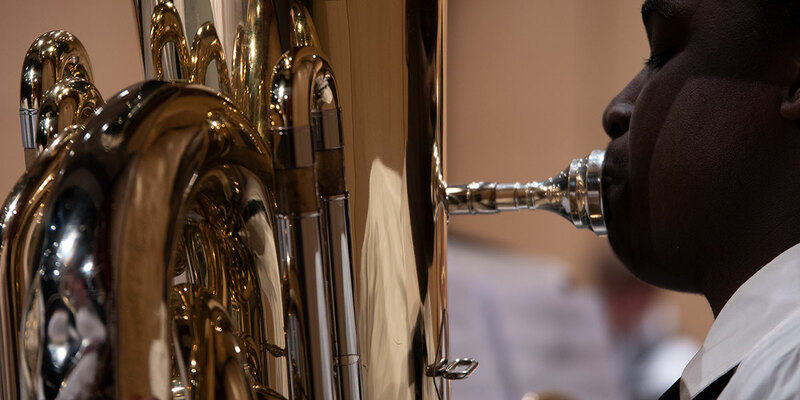 Many band students at Fishers study privately with various professionals in the Indianapolis area, including from members of the Indianapolis Symphony. Students participating in the Fishers band program are encouraged not only to develop their musical talents, but to pursue academic excellence, as well. As a testament to this goal, 91% of Fishers High School band students are involved in Honors, Advanced Placement or International Baccalaureate classes. 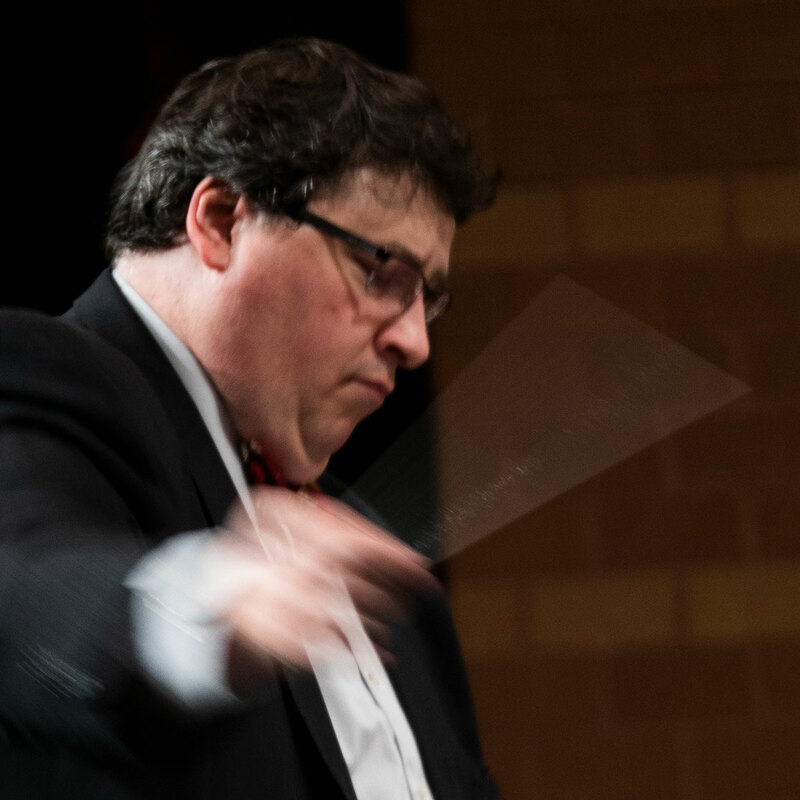 The Fishers High School band program is overseen by a team of talented directors and staff, who are dedicated to inspiring and motivating students. 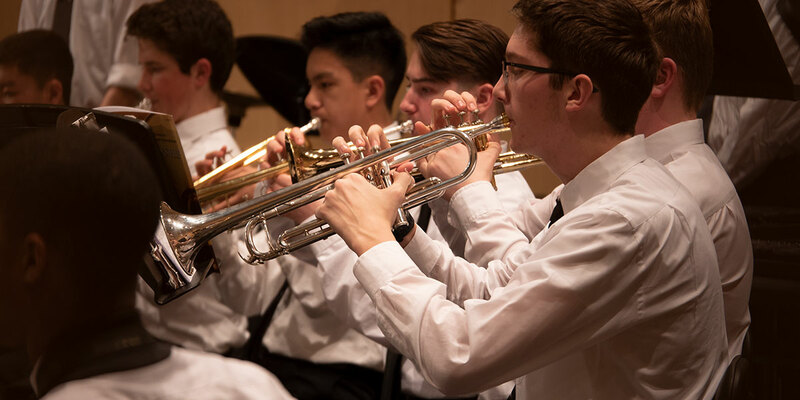 The band program includes a variety of opportunities for students to pursue their own, personal interest in music, whether it is marching on the field at halftime, swinging on the stage with the jazz band, or playing in the pit supporting one of the school’s many theater performances. Chad Kohler currently serves as the Director of Athletic Bands, including the Tiger Marching Band at Fishers High School where he teaches Concert, Marching Band and Percussion Ensembles. Under Chad’s direction his ensemble have received Gold ratings at ISSMA and the Fishers percussion ensembles have consistently won the Indiana Percussion Association State Championship over the past four years and his ensemble have been a WGI world class National Finalist. Chad received his Bachelors in Music from University of Kentucky and Masters of Music from the University of Akron. Chad has performed and instructed the Cavaliers Drum and Bugle Corps, served as Percussion Captain for the Blue Stars Drum and Bugle Corps and had adjudicated for the Drum Corps activity. In addition, Chad regularly performs throughout the Indianapolis area most consistently with the Nickel Plate Jazz Orchestra and Fishers Wind Symphony. In addition to teaching and performing, Chad composes and arranges for ensembles throughout the Midwest. Prior to Fishers High School, Chad served as the Percussion Director for Lawrence Central High School. Chad is a Ludwig/Musser Artist Clinician, a Conn-Selmer Educational Clinician, and Educational Artist with the Remo Corporation and Innovative Percussion. Chad also serves on the Board of Directors for the Indiana Percussion Association and the Percussive Arts Society. 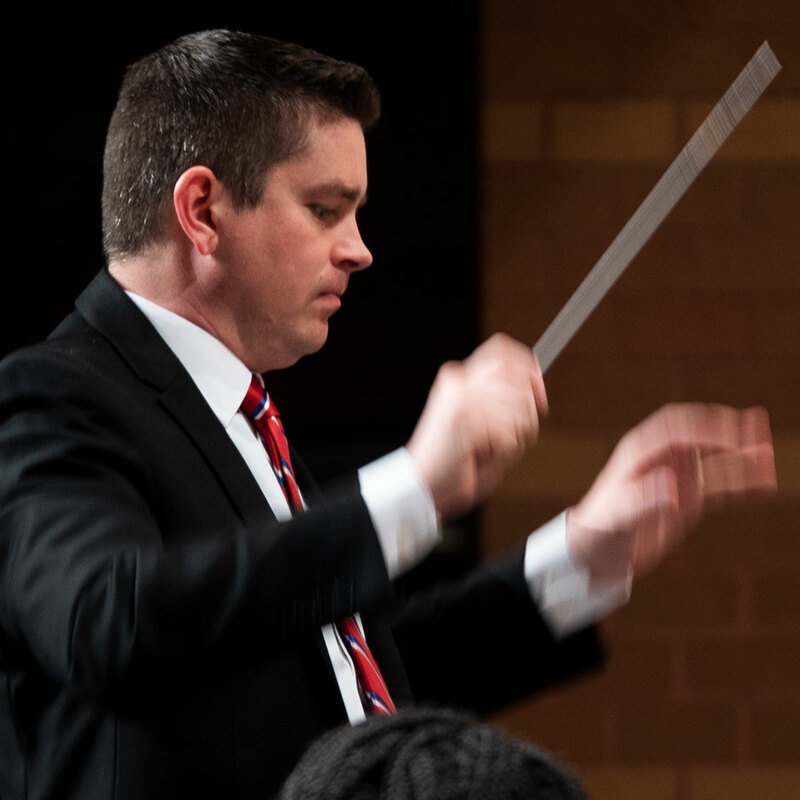 Todd McCready is the Director of Concert Bands at Fishers High School. Prior to joining the team at Fishers, he taught band for six years at Riverside Junior High. Mr. McCready holds degrees from Purdue University (Chemistry) and the IU Jacobs School of Music (Music Education, Euphonium). He is an active performer on euphonium and trombone as a section member and soloist with several area ensembles, including the Indianapolis Brass Choir, Indiana Wind Symphony, Fishers Wind Symphony, and Kokomo Park Band. In 2013, he co-founded Fishers Music Works, where he led the Nickel Plate Jazz Orchestra. Mr. McCready maintains a private lesson studio of euphonium and trombone players, and his students are selected regularly for state-level honor ensembles. He is a member of NAfME, IBA, and an alum of Kappa Kappa Psi. He is an active band clinician, and he occasionally arranges music which has been performed by the Fishers band. Mr. McCready lives in Fishers with his wife, Cait, and four kids, Hailey, Jack, David, and Zoey. 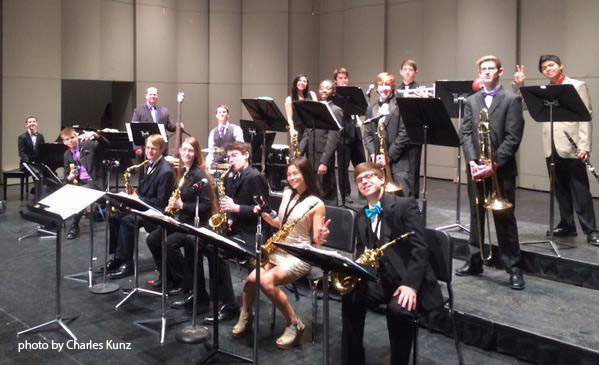 Charles Kunz is the Director of Jazz Studies at Fishers High School in Fishers, Indiana. 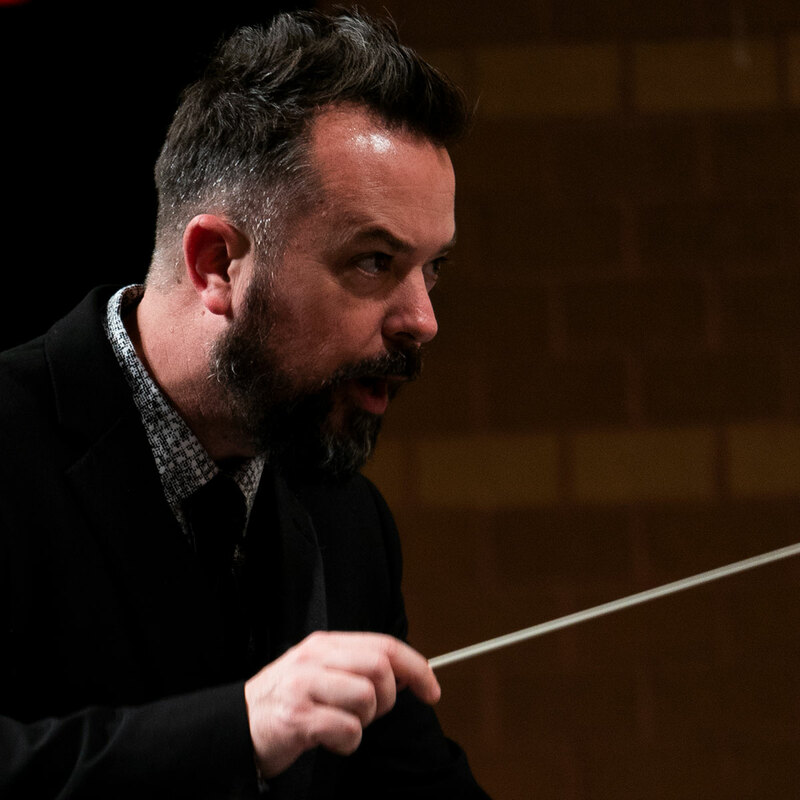 A native of Columbus, Ohio, Mr. Kunz received his Bachelor of Music from the University of North Texas in Denton and his Master of Music from the University of Kentucky in Lexington. Mr. Kunz has taught instrumental music at all levels for the past 22 years, and most recently he spent nine years at Eastwood Middle School & North Central High School teaching band and music theory. He is a member of Phi Mu Alpha Sinfonia, The National Association for Music Education, Indiana Music Educators Asspciation, National Band Association, and an honorary member of Kappa Kappa Psi band fraternity. When he is not teaching, Mr. Kunz enjoys making music with his wife Charlotte (Flutist) and training his dog (Bongo) the finer points of civilized society.